The Pebble smartwatch and the Samsung Galaxy Gear are two of the most popular smartwatches on the market at the time of writing this article. 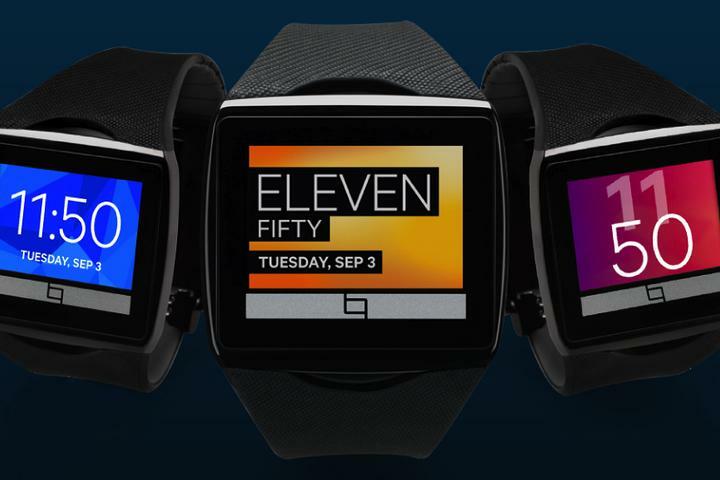 Qualcomm has entered the smartwatch arena with their own competitor, the Toq. 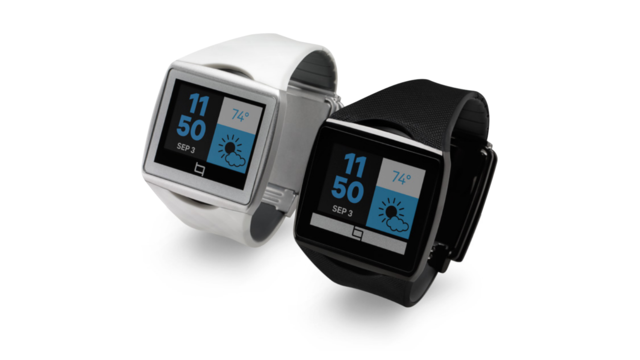 It fixes many quirks one might have with both the Pebble and the Gear. It features a colour screen that is lacking on the Pebble, but is always on, unlike the one found on the Gear. The Toq comes with a plethora of customization options, but you are still limited to the options provided by Qualcomm. You can choose between a number of clock faces, as well as different icon styles. Of course, the Toq does all the things you would like a smartwatch to do, such as read your messages, check stocks, and control the music playing on your phone. It does this with very few physical buttons, or to be more specific, none. The entire watch is controlled by touch, through either the display or the touch-sensitive wristband. Since the watch is always on, that may become a drawback as moving your hand may trigger something on the touch sensitive watch. Qualcomm claims that the watch should last a few days on a full charge, so unlike the Gear, you won't have to add it to the list of devices you have to charge daily. The Toq works through a smartphone app that is currently only available on Android 4.0.3 or higher (Sorry iOS users). Through the app, you can configure what your watch looks like, and what notifications you will receive on the watch. The Toq is available with a optional wireless headset which can be used for both listening to music and answering calls. Both the headset and watch are charged using the proved magnetic charger, which folds up nicely for easy storage and charges both devices (headset and watch), eliminating the need for separate cables and chargers. The device itself features a 222 ppi 1.5 inch capacitive touchscreen and is 43.3mm high, 47.6 mm wide, and 9.96 mm thick, significantly smaller than the Gear, but larger than a Pebble. It weighs 3.2 oz and the wristband will fit people with 6-8.7 inch wrists. The band will have to be cut to be adjustable, so once it's cut, you're stuck with it. It is powered with a 240 mAH battery and connects to your Android device using Bluetooth 3.0. It also has a vibration motor to let you know if you have a notification.